Clarges Mayfair is an exciting new landmark development in the heart of London’s Mayfair, which comprises 34 premium residences and a luxury spa with unparalleled views of Green Park and Buckingham Palace. Creative design studio Martin Kemp Design brought together timeless colours and lines, a sense of Britishness and influences of Art Deco and Classicism to deliver this unique, ultra-high specification development. 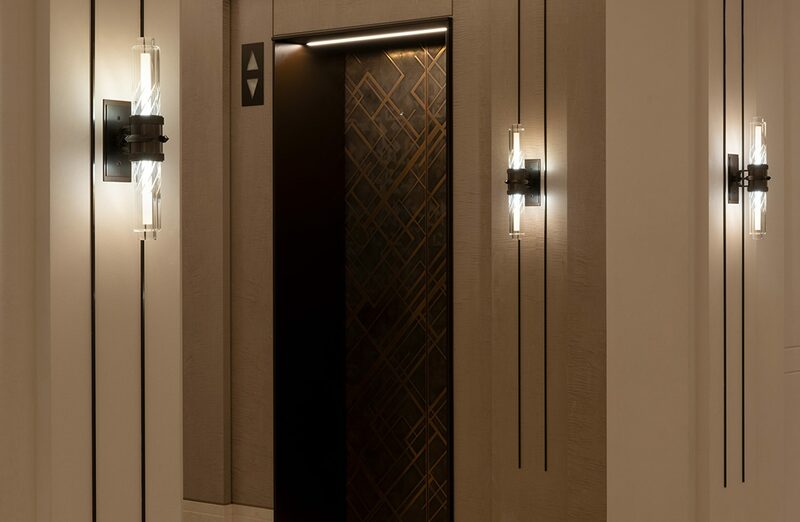 It was vital that lighting in the entrance vestibule and corridors set the appropriate tone for the apartments beyond so Martin Kemp Design’s Associate Oliver Davies chose Dernier & Hamlyn for this important task. His team’s designs combined LED lighting for clarity and longevity with the need for a range of specialist metalworking techniques including knurling, casting, machining and spinning. Dernier & Hamlyn is one of the few lighting companies in the UK that can provide all of these skills from its in-house team. 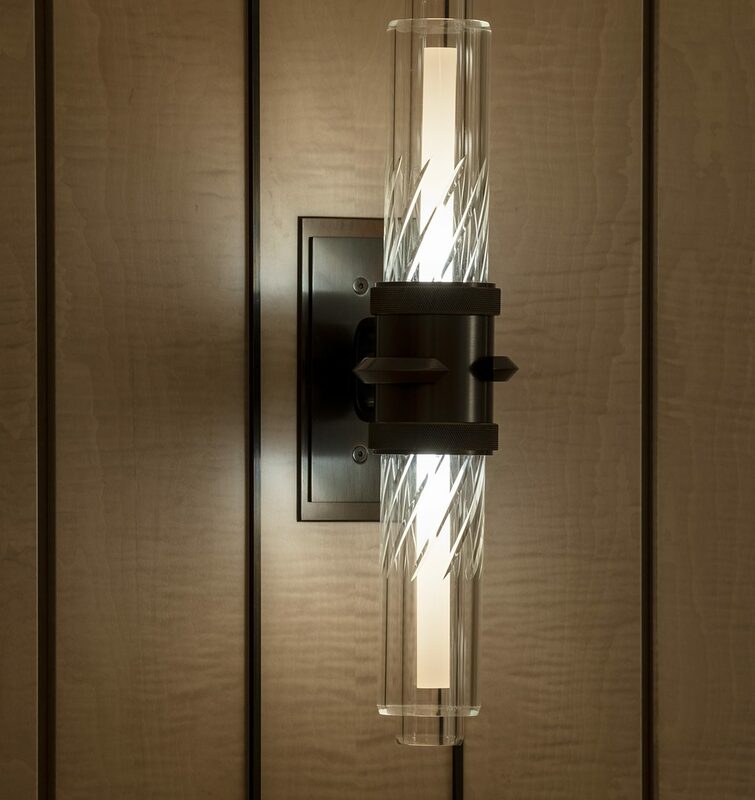 More than 70 wall lights featuring plain glass columns inside hand cut glass tubes joined by bronze hand-formed in Dernier & Hamlyn’s London factory to produce unique effects were manufactured to meet Martin Kemp Design’s exacting standards. Dernier & Hamlyn also produced four beautiful wall mounted floor lamps for Clarges Mayfair that feature hand turned vertical rods and silk shades with handmade Tudor ruff style trims giving playful reference to London’s historic past.